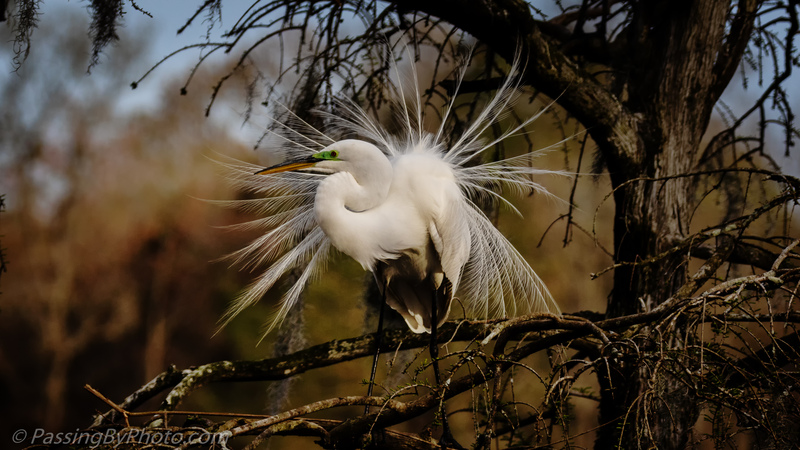 The Great Egrets perform an elaborate mating dance. Yesterday I watched this one over several hours in this tree. The other Great Egrets didn’t seem to be impressed. I’m sure impressed. Excellent shot, Ellen. Magnolia? Thanks, Jane! Yes, this is at Magnolia Plantation, one of my favorite places. Thank you, Donna, The Great Egrets have been doing this for weeks but this is the first time I got a good angle. Thanks, Greta! I know, how much more does a bird have to do?